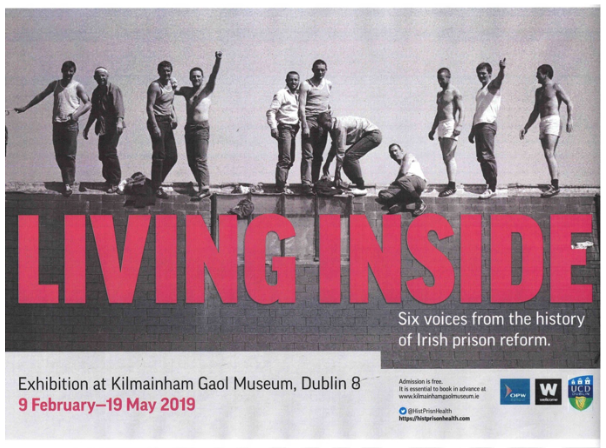 Living Inside is an exhibition currently running at Kilmainham Gaol Museum. It deals with change and continuity, institutions and ideas, pain and protest, in Irish prisons. 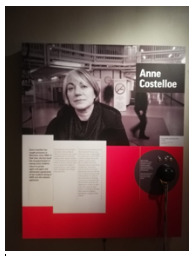 It tells the stories of six people whose experiences speak to the history of Irish prison reform; one of whom is Anne Costelloe, Head Teacher Mountjoy, who talks about how education played a reforming role in shaping the prison system that we have today. The exhibition draws on research by Oisín Wall (University College Dublin) on the history of prison reform and includes evocative images by photojournalist Derek Speirs and historical objects from the rich collection of the Mountjoy Prison Museum. Living Inside is part of a Wellcome Trust funded project ‘Prisoners, Medical Care and Entitlement to Health in England and Ireland, 1850–2000’. The project is a collaboration between University College Dublin (Catherine Cox) and the University of Warwick (Hilary Marland) which explores the history of health and healthcare in prisons. Admission is free to the exhibition but booking is required.